"This is a unique opportunity to curate our own sound and provide an evening of instrumental tunes that reflect our tastes. I'm really happy for the journey we are going to take people on tonight "
The night began with a solo set from Illya Goldberg otherwise known as Lapa. He provided cooling soundscapes that were accompanied by his violin, the same violin that would accent the sounds of Emancipator later that night. Goldberg then handed the stage off to 9 Theory. The LA based producer provided a lively set that included work from his new album, live beatboxing, singing and he also played out his new joint EP with Emancipator, Cheeba Gold. He ended his set with some climatic mashups from a prominent band from Liverpool that shan't be named. Then it was Edamame's turn to treat Chicago with some sweet sounds. Edamame became the perfect segue for Emancipator as he amplified the energy in the room with his nonchalant demeanor and his ethereal, thought-provoking beats. The sounds were paired with floral and nature-based visuals that created a certain aura throughout the crowd. After a loving shout-out to Sliver Wrapper for helping to start his career, he bid the Chicago crowd adieu. What was left was a definite and audible buzz within the crowd as stagehands prepared the equipment for Emancipator, I was especially excited considering Appling revealed that a majority of the set would be composed of new, unreleased material. Then, Emancipator approached the stage with Lapa on his side, violin in hand. Pleasantries were exchanged before all those in attendance were shot up into deep,cosmic realms. Description could offer no relation to the actual experience but the set began with non-existent visuals and the room was essentially dark. The sounds dictated the experience, subtle strokes of violin, bass, finger plucking. Even without the Ensemble, Emancipator showed that his sound lacked nothing, it was full, it was complete, it was the proper recipe for a musical experience. 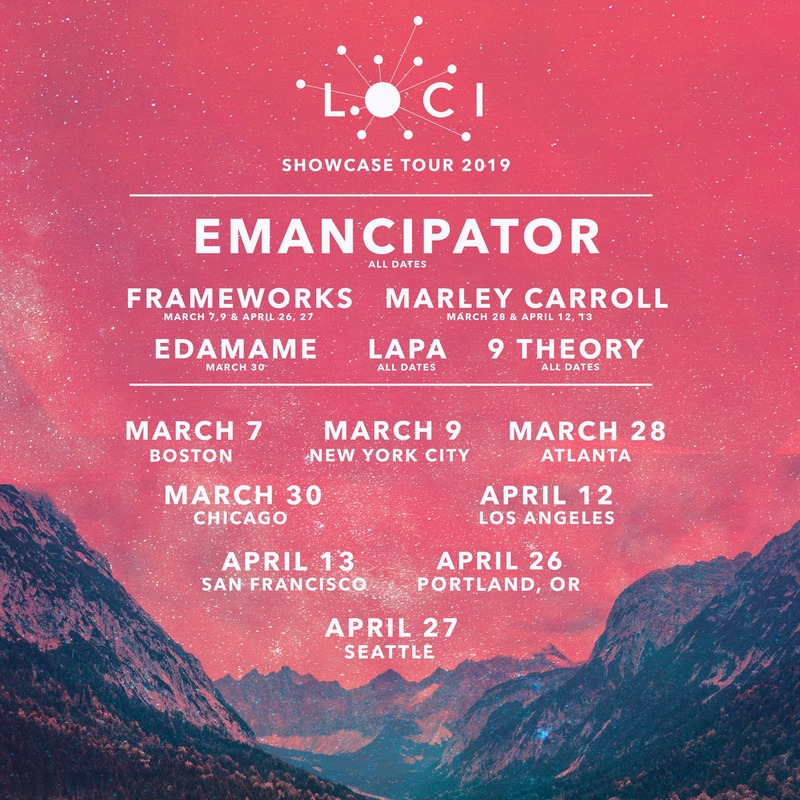 The Loci Showcase continues touring through the US, be sure to check them out.